Dickens Scrooge Man With Candlestick Walking In Winter Forest.. Stock Photo, Picture And Royalty Free Image. Image 48714546. 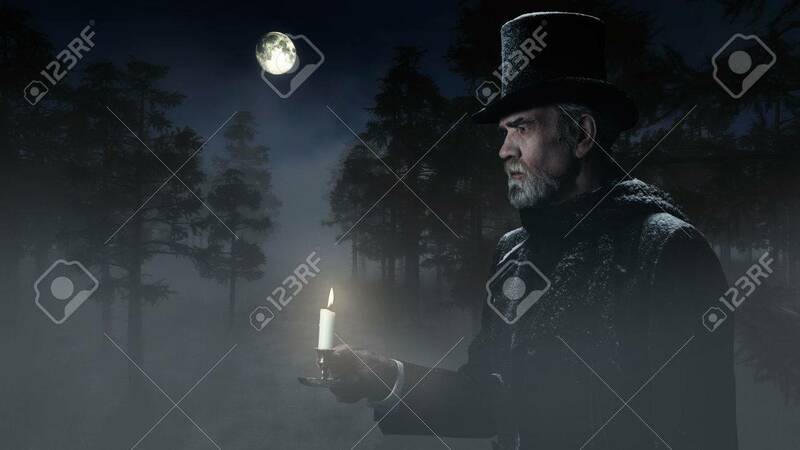 Stock Photo - Dickens Scrooge Man with Candlestick Walking in Winter Forest at Moonlight. Dickens Scrooge Man with Candlestick Walking in Winter Forest at Moonlight.